We have skipped 1.13 and went straight to 1.14 which incorporates all the bug fixes, feature improvements and performance enhancements of both versions. Accessibility Improvements: CVAA (21st Century Communications and Video Accessibility Act) compliance. Click here for more information on enabling the Talking Guide. Sporting event details pages showing generic image instead of the image associated with the event. Stability improvements - evaluate all components for graceful error handling, code optimization, number of server calls and data validation with an emphasis on stream manager, EAS and recording manager. As with most releases, the version 1.12 update will have several server and app fixes and updates that may not be directly user-facing, but will improve user-experience. When a program is subject to blackout or has had a partial blackout, the media controls will be disabled during and after the blackout policy has been removed. Recording action is prohibited as well as playback of the same is prevented if a recording was set prior to the blackout. Catch-up of content that has had a full or partial blackout will be prevented from playback. The release of 1.12 will fix an ongoing sporadic logout issue occurring mainly on the Amazon Fire TV devices, after being logged in for more than 3 or 4 weeks. Version 1.10 has several behind-the-scenes new features and bug fixes, with minimal changes to the user interface. The network feature row is now available on mobile/tablet. Selecting “See More” on a network feature row will direct users to a network “Browse All” grid view. For members using an Android, Amazon Fire or Roku device, the next app update will alter channel navigation. 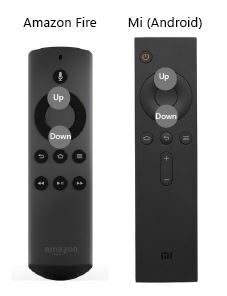 Users will now change channels simply by pressing up or down on the directional pad on the remote. When watching Live TV, skip forward or backward by 12 seconds by tapping left or right on the directional ring. If users long press (hold down) the left or right directional ring or arrow, the media player will begin seeking in the requested direction until the user releases. Click here for more information on navigating live TV. The Category Filters have been moved from the top of the Guide screen to the transition overlay with Replay. Access this screen by pressing left on Android/Amazon/Roku or swipe left on Apple devices. 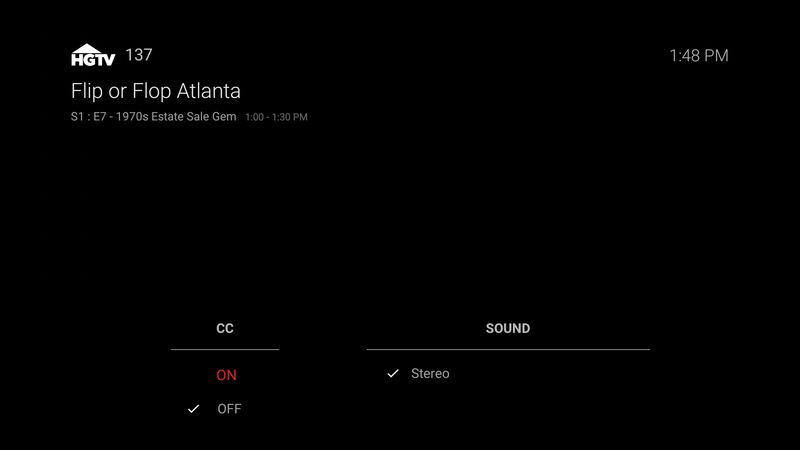 Highlight Filters and press Ok or Select on the remote to just view live and upcoming content by Sports, News, Movies or Kids. 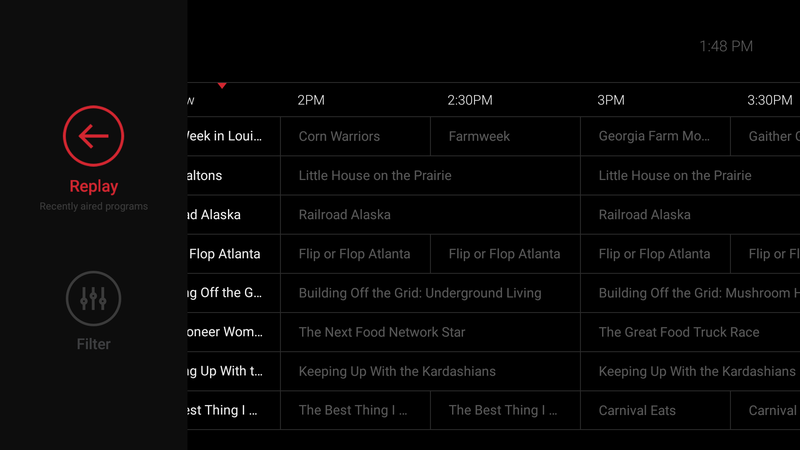 The subscription filter has been removed from the top of the Guide screen. Channels not subscribed to will also no longer appear in the guide. Click here for more information about the Main Menu. From the main channel Guide, press (or swipe) left to get to the Filters option. The Audio option on the media player's name has been changed to "Audio / Subtitle" to make it clearer what the button does. Click here for more information on Closed Captions. Activate Closed Captioning from the Audio / Subtitle section.